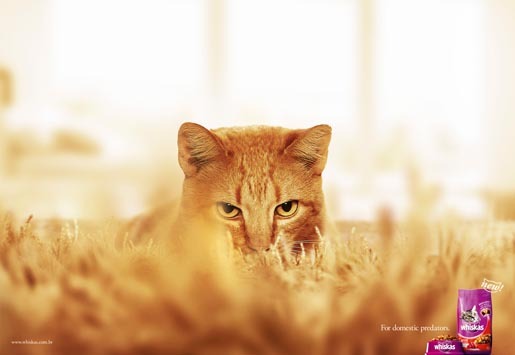 Whiskas cat food is presented as the food for natural domestic predators in “Domestic Predators”, a print advertising campaign from Brazil. Two ginger tabby cats crouch, heavily disguised in a golden shagpile carpet, ready to pounce. A link is provided to www.whiskas.com.br. 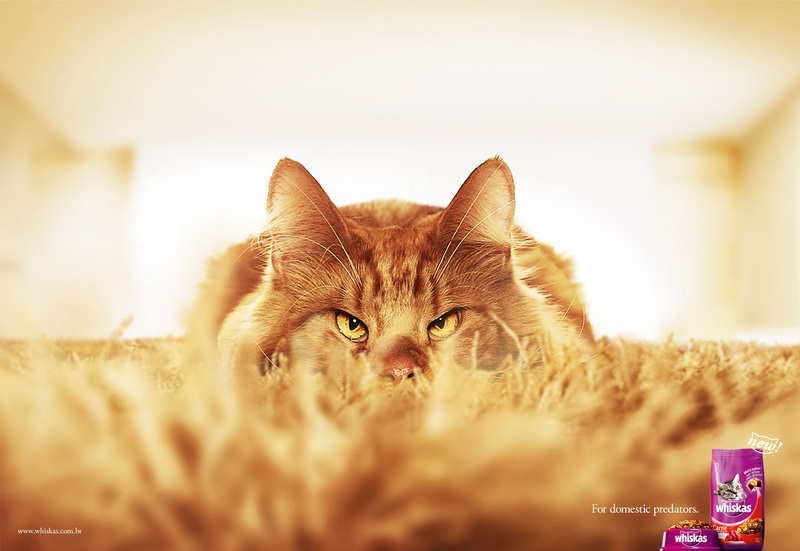 The Domestic Predators campaign was developed at Lew´Lara\TBWA, Brazil, by chief creative officer Jaques Lewkowicz, creative directors Luciano Lincoln, Mandir Fadel, art director Eduardo Pastor, copywriter Leandro Dolfini and photographer Lucio Cunha.